The Bike-sharing World Map, bikesharingworld.com, has surpassed 5,000,000 page views since October 2007. 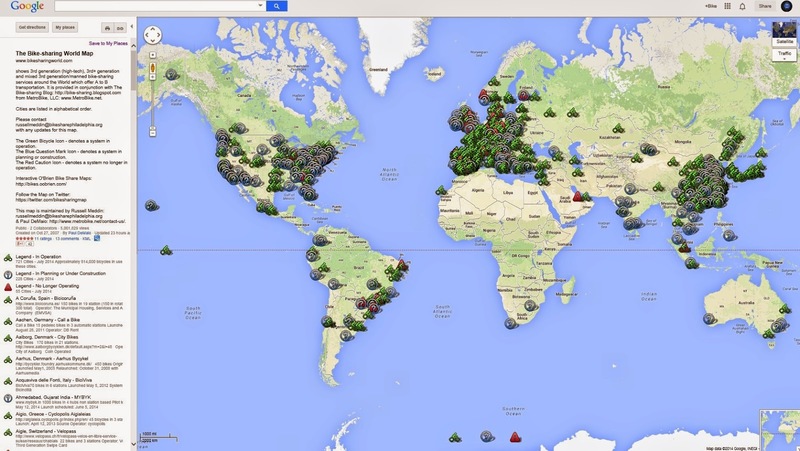 It is the #1 resource for information on cities with bike-sharing systems world wide. It is a catalog of operating, planned and terminated bike-sharing programs on all the continents. With constant updates, the Map is the best way to keep up with the ever changing bike-sharing world. See the O'Brien Global Bike Share Map. It shows real time bike usage in over 110 cities! 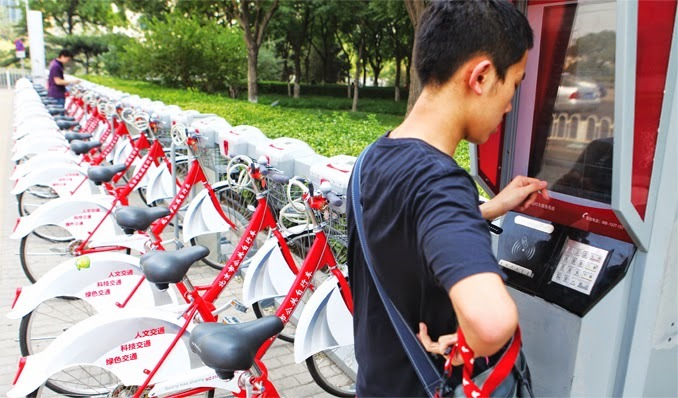 Reports out of Beijing indicate that the municipal bike-sharing program, Public Bicycle In Beijing, is about to become the largest system of any Capital City throughout the world. Albeit, the largest Chinese program remains the one in the City of Hangzhou with over 78,000 bikes. Before the end of this year, when the area of Beijing within its Ring Roads reaches 24,000 bikes, it will surpass Paris as the Capital City with the largest bike-sharing program. As of today, if all the outlying districts that are under the control of the Beijing Program, though not contiguous to the capital, were counted, the current total would be 27,000 bikes and Beijing would now hold the title according to NETEase News. It has been a slow growth year for bike-sharing in North America. Leading up to 2014, it was shaping up to be a banner year of great growth with numerous cities expected to launch new systems either this Spring or Summer. Yet instead of the promised launches, there have been numerous delays. The cold Canadian troubles coupled with a cold and prolonged winter has been a part of it, but financing of programs has had the major role in this year's performance remaining in a low gear. North American cities need to have State and Federal governments start thinking of bike-sharing as public transit and make available the funding streams that help other forms of public transit flourish. It happened seven years ago this week in Paris.